SHERWOOD — Some things never change. At least it must seem that way when it comes to the Sherwood High School girls track and field team. Once again, the Lady Bowmen look to be strong — very strong, literally — when it comes to the throwing events. "The girls track team will be anchored by a pair of seniors, Clair Johnson and Shelby Moran," Sherwood coach Terrel Smith said. 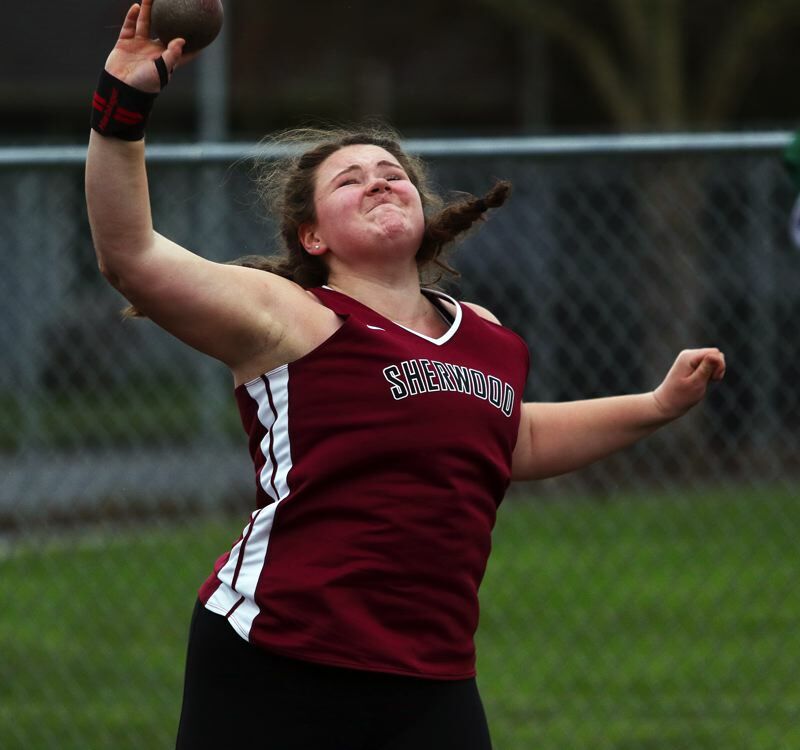 Johnson and Moran, both throwers, are key returnee from last year's Lady Bowmen squad that finished in a tie for sixth place in the team standings at the Three Rivers League district championships. Moran, an Arizona State University commit, had an amazing junior season for Sherwood. Moran, who, as a sophomore, won a Class 6A state championship in the discus, set a new state record in that event last year with a throw of 170 feet, 6.25 inches. She also set a new TRL district meet record in the discus with a throw of 156-2. 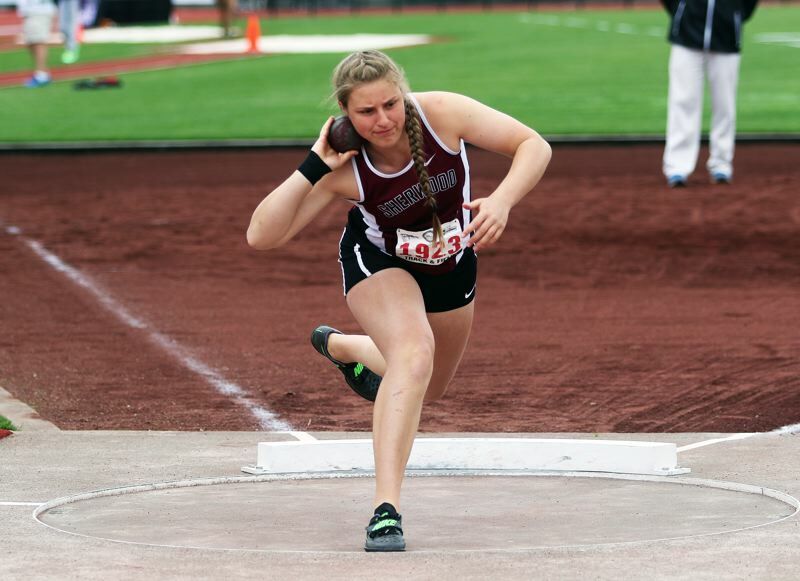 She fouled on all three of her attempts in the discus at last year's Class 6A state meet, but she place second in the shot put event at state with a personal-best mark of 42-7.25. Moran is also ranked as the top returning discus thrower in the country coming into the 2018 season. Johnson took sixth place in the shot put event at state last year with a throw of 38-1.5. Also for the Sherwood girls, junior Alex Verkamp is ranked No. 3 in the league in the 800-meter run coming into the 2018 season. She also has the top 400 time among returnees for the Lady Bowmen. "She has her eyes set on representing Sherwood at the state meet," Smith said. Sophomore Ava Boughey is ranked No. 11 in the 3,000 for the TRL coming into the season. "She'll make waves in the league in the distance events," Smith said. Freshman Kari Eddington could also be a key runner for the Lady Bowmen in the distance events. "She looks to establish herself as a top contender in the league this year," Smith said. Also for the Sherwood girls, junior Madi Pastores is ranked sixth in the league in the long jump and eighth in the 100 high hurdles. Junior Alice Hall is ranked second in the pole vault and sixth in the javelin among TRL returnees. "The girls team has the strength to finish in the top half of the league at the district meet with a few school records being reset," Smith said. "Watching Shelby Moran break records this season will be business as usual." The Sherwood boys team will feature a strong distance crew, led by senior Josh Quaglio, and junior Henry Giles, who helped the Bowmen claim the TRL boys cross country team title last fall. Giles holds the school cross country record for a 5,000-meter course. The district team will also feature sophomore Jaron Homer and Thomas Osborn. "Their success qualifying for the state cross country meet sets the stage for a great track distance season," Smith said. Senior Andrew Mabry leads the team in the 400 meters and is ranked seventh coming into the league competition. Sophomore Caleb Hagan, junior Isaac Day and senior Jack Scypinski are the top returning sprinters. Seniors Carsen Christiansen and Jayden Cuthbertson lead a strong throws team into the 2018 season. Christiansen is No. 1 and Cuthbertson is No. 6 in the shot put in league. Ethan Kelley is ranked fifth in the javelin. Although untested, freshmen Bryan Cuthbertson, Noah Culbertson and Asher Krauel will put pressure on the veteran throwers to retain their throwing thrones. Senior Billy Hale comes into the season ranked sixth in the triple jump and could make a strong showing in the high jump as well. Sophomore Caleb Zatezalo brings in the team-leading long jump mark and is ranked fifth in league. 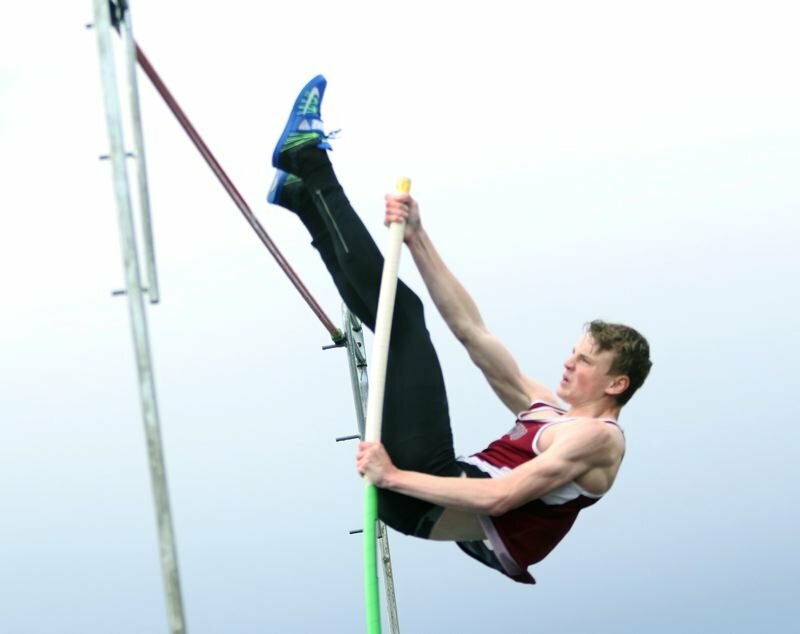 Senior Payton Churilla cleared 14-0 last year in the pole vault and is ranked No. 3in league. He could have a shot to break the school record of 14-6 and qualify for the state meet this year. Juniors Josh Milligan and Dylan Blue lead the hurdles crew. Both could be running the high hurdles in the sub-16 second range early in the season to set themselves up for possible district meet success. "Overall, the boys track team is balanced and strong with quality veteran athletes in all events and young emerging stars who will make their mark as well," Smith said. The Bowmen teams will open their Three Rivers League schedule April 4, when they face Lakeridge and Newberg in a league double-dual meet to be held at Newberg High School.